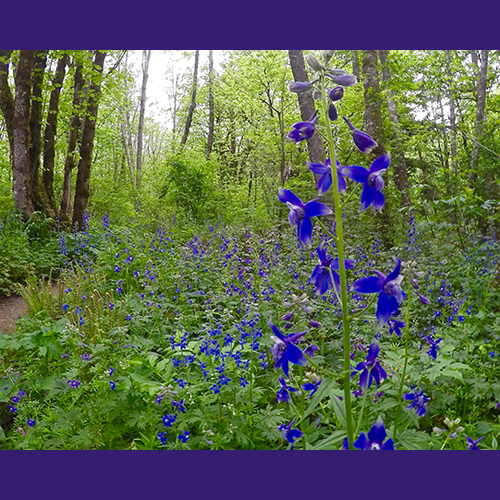 When hiking the many beautiful trails that the Columbia River Gorge offers it is important to keep in mind that you are in the forest and safety on the trails is very important. Accidents can happen but by following the rules and laws of the trails you can make sure your trip always has a happy ending. First and foremost, always obey posted signs. The intention of those signs is safety for everyone, not just everyone but you. Before you leave home, you should check the conditions of the trail you plan to visit. Make sure you are dressed for the area you plan to hike in — flip flops or high heels are not appropriate hiking footwear. Ever. Take an appropriate amount of water for the day. Have enough snacks or food to last you at least 24 hours. Accidents happen and rescues can take a long time to execute. Having a jacket and a space blanket with you could be your saving grace in the event of an emergency. Not only will it help you stay warm, but a silver space blanket can reflect light if you are lost, making it easier to locate you. Stay on marked trails. Cutting switchbacks degrades trails and causes slides and washouts to occur, and causes many injuries to ankles and knees. Do not let small children walk near the edge of trails and always have a hold on them to keep them from falling. #Safety is the responsibility of everyone. Those who have been affected by tragedy on the trails know firsthand how devastating a death or injury can be. Help rescuers help you by being prepared and safety conscious while enjoying the outdoors. If you are planning to tour in Vietnam for the first time then it is quite problematic to get Vietnam visa. Those who have knowledge about visa they know that if your visa is rejected for a particular place once then it seems more difficult to get it again for the same place. Few countries are there which refuses to sanction visa to a large number of visitors and Vietnam also falls in the same category. To get Vietnam visa the best way is to hire greenvisa.io site travel agency through which you can apply for visa. This present world's assorted variety charges individuals from each type to visit most loved traveler goals from everywhere throughout the world. Thank you for the helpful tips! They are very helpful for my first hike.